The last five songs I’ve downloaded from iTunes are a mix of old and new stuff. Since I’ve recently joined a new gym near my new apartment, I’ve been getting back into spinning (I have found in my travels that the closer a gym is to a metropolitan area, the more intense and better the spin classes are). I heard most of these songs in some recent classes and it reminded me how much I liked them. 1. What Hurts the Most by Cascada. I know. This is Rascal Flatts cover. I love Rascal Flatts but this version is way more workout appropriate, and I love Cascada as well. It definitely gets me moving during cardio sessions. 2. Play Hard by David Guetta (feat. Ne-Yo & Akon). This song is my anthem right now. I heard it on a commercial for headphones about a month ago, liked it, and then I heard it as part of a mash up in spin class and realized I needed to own it. I play it during my workouts, during my commute, while I’m getting dressed in the morning… It is very versatile and very uplifting. 3. #Beautiful by Mariah Carey (feat. Miguel). The reason for this is Mariah Carey. Period. End of story. She has yet to let me down. 4. I Need Your Love by Calvin Harris (feat. Ellie Goulding). Apparently Ellie Goulding can do no wrong lately because this song is fantastic as usual. She has such a unique, delicate voice that fits so well with the whole vibe of the song. 5. Wake Me Up by Avicii. I’m going to go ahead and say I’ve never heard of this guy before (or band, whatever it is). I heard the song on the radio and ran across it while I was browsing iTunes the other day. It’s a little bit country and a little bit rock and roll which is what I like about it. It has a certain intensity that is interesting. It’s definitely on my workout playlist. 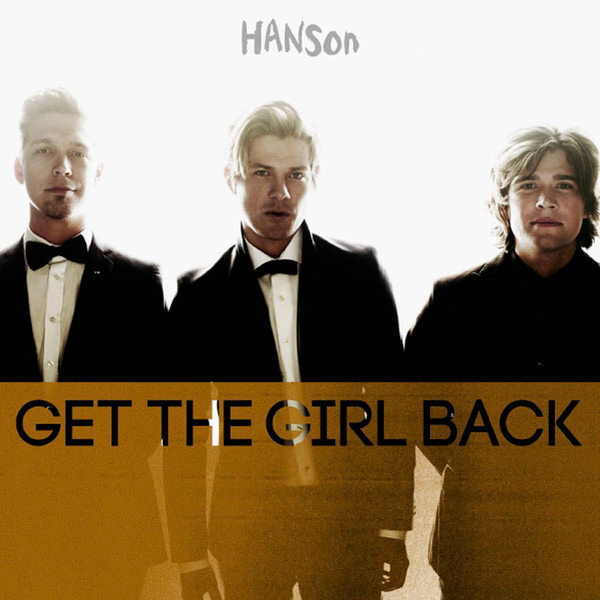 Bonus song: Get the Girl Back by Hanson. Go download this now. It’s everything Hanson is supposed to be: catchy, fun, infectious… These guys are quietly putting out some good songs these days and I’ve downloaded more than one in the past couple years. That’s right, I said it. I listen to Hanson. And you should too! I graduated middle school in 1999, ok? Hanson for life! I’m LOVING Hanson’s new album 🙂 Have you listened to it yet?